Coventry University have announced an enterprise level partnership with FutureLearn to take 50 full degree courses, both postgraduate and undergraduate, online over the next 5 years. Coventry does not see this as the development of a separate strand of degree provision but the coming together of on-campus and online learning as learning modes to access the same content and experience. FutureLearn, as the platform chosen by Coventry, provides an elegant social learning environment built around learning objects. It allows Coventry to push an educational strategy based on enquiry-led learning. The aim is to create an environment where a student may start their study on campus and move to study online and back again, as their circumstances change. The central argument for this approach is that the technology is quite capable of providing the support, the important question is how to manage the change within the traditional university sector. 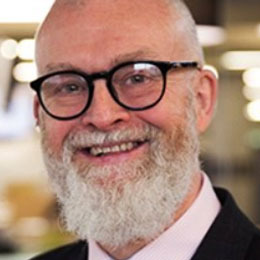 Ian Dunn is responsible for the education agenda within the Coventry University Group. This includes the creation of Coventry University Online, the Disruptive Media Learning Lab and the Students’ Union amongst other things. In 2016 he was awarded “Inspiring Leader” of the year in the Guardian Higher Education Awards. Ian led the development of Coventry University College which now has sites in Coventry, Scarborough and East London. A Coventry graduate, very involved in the local community supporting schools, skills and local justice. Coventry University Online has been created to develop the innovative partnership with FutureLearn, taking 50 degrees online over the next 5 years. This project is really about pedagogic change and is looking to rethink the way in which higher education teaching and learning is framed for a generation who are truly digitally native.